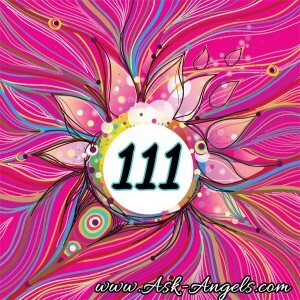 Angel Number 111 - What Is The Meaning Of 111 & Why Should You Care? 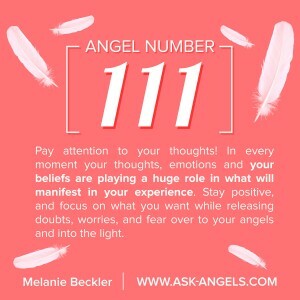 Angel Number 111 – What Does 111 Mean? 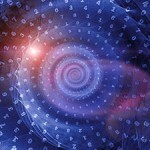 Angels often use number sequences to communicate their guidance, insight, and as a way to show us, they are near. This post is one part of a greater series of angel numbers. You can access the complete angel numbers guide, here. When you notice 111, pay attention! In addition to the specific meaning, you will learn more about below, your thoughts around the time of seeing the number, as well as what is currently happening in your life will hold clues as to this numbers meaning for you. So What Does 111 Mean? To understand the meaning of 111, let's take a look at the visual appearance of the number 1 to start! Now it's up to you to positively focus your thoughts and intentions to co-create with the Divine to call forth blessings and opportunities into your life in the physical. Often 111 carries with it meaning pertaining to manifestation, and specifically about your role in creating blessings in your life. Refocus upon what you want and what you're moving towards, not on what you're worried about, or what you don't want to experience in your life. If you were engaged in negative thinking when seeing 111, don't worry! Positive thoughts far outweigh negative, so simply release fear and negativity into the light and refocus upon what you do want to see manifest. Aligning your thoughts, and your present moment vibration with love will work wonders in helping you manifest abundance, balance and fulfillment in your life. Were you thinking about something you do want when you saw 111? If so, this number can mean you're on the right track! A huge opportunity is opening up for you to help you manifest your goals. Stay focused, leverage affirmations, and continue to think positively about what you desire, because it's working! Your angels will be with you throughout your journey. Remember to ask for their assistance, and keep your attention focused in the present moment, for through awareness you can notice the many signs and signals your angels are using to communicate with you, and to guide you forward. Angelic guidance does come through angel numbers, but not only through numbers. Look for guidance in all areas, and be sure to act upon the insight you do receive to step further into awakening and to manifest your goals and dreams into reality. Are you ready to learn more about the vibrational meanings of numbers, including what the numbers in your name and birth-date say about you? Click Here For A Free Numerology Reading! P.S. Did you find this post to be helpful? What Angel Numbers do you see? Be sure to leave a comment below! P.P.S: Do you ever see 11:11? 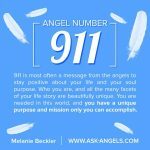 Learn about this powerful angel number here! In am so grateful for your explanation and information provided. It has been such a blessing in my life. Your information is easy to understand and concise. I thanks the universe and you as my angel to help me understand this path. I have been seen this number frequently. You are my angel and all of us that come to your website lost seeking knowledge. God and the higher source continue blessing you immensely. Thanks so much. Tnx.,,i see 111,more and 11,..i am motivated when i see, i decide to keep going…to win my desire…how it takes after the angel no? i saw the last 2month?..i want to won lottery. The problem is two fold. 1) At the time I was asleep so much attention was very very no i mean VERY LMITED and 2)I was Depressed! Not the “oh how terrible that my girlfriend left me.” Depressed the “Someone please take a large caliber handgun and blow my brains out!” sort of depressed! And most assuredly not the pink fluffy stuff you seem to think can be set aside. For many finding the motivation to go on is difficult not me I keep putting one foot in front of the other! “Good for him.” You may think. CRAP!!! What it means is that I have a lot more scared to bare then most.i don’t stop even when I should! To many think I don’t feel pain. This means my own family too! For about 6 months thereabouts every time I consciously look for the time its a sequence of numbers like 1:11,2:22,3:33,4:44,5:55,11:11,12:12 etc. Anywhere,anytime on any device. There’s no limit. Please enlightenment me. So glad to hear! Much love and light flowing back your way in return. What is the meaning of someone dying at 1:11? since 2011 ive been seeing syncronicity of numbers left n right iu see them evryday and more than once i see shadows from the side of my eyes i look nothing is there.ive been on a spiritual path ever since. thanks to you now i know they`re all around me..my dog sees them all the time he stares right at a wall or he stares right past me or above me.ive learned how to heightened and raise my vibrations thru music,good deeds and intentions,nature-parks and animals[i totally love all animals]..its a beautiful feeling when u raise your vibes..thanks melanie for all the info you share with us for it is truly a blessing..many blessings love and light. Wow! I see shadows in the sides of my eye too! All if the time actually! It sort of scared me, but I just tried o ignore what I was seeing. But after reading ur comment, I feel much better that I’m not the only one. Lol also, I just wanted to tell u that my beloved pup, Nemo, who crossed over last September(bless his beautiful soul) always saw them to bc he was always looking past me or directly at the wall and sometimes even up at the ceiling in the corners. I’ve even watched his eyes move across the room slowly as if he was watching some walking but no one was there. My mother also crossed over a few years ago and she loved Nemo soooo much! And he did her as well. They had an amazing connection. So I really think that he was watching her most of the time:) what was really ingesting is that after she passed, he started laying next to the table I had her urn displayed on. Even when I moved her urn to another table. He followed and played there as well. So it’s clear to me that animals are just as receptive and smart as we are and they also have the same feelings as we do.only I believe all there’s are heights Ed allot more than we are. They are just such wonderful creatures. I just saw this number (111) today, at 1:11pm, Monday, October 5, 2015 (10-5-2015=10-5-8). What does it all mean? Hopefully it’s good. I’ve been meditating, cleansing, releasing, and trying to raise my vibrations a lot as of late. I keep seeing these synchronistic numerologies a lot lately. 11:11 a lot, 4:44 yesterday. Also, seeing a lot of 3:11, 7:11, and 9:11. Almost always, I see these on clocks and in the PM afternoon or evening hours. I had an encounter with a karmic twin (possibly also my true twin?). Our energies and alignments are so juxtaposed, and it feel we’ve oversteps our proper boundaries. So, I’ve been meditating and praying for the realignment of proper numerologies and sacred geometries, through the intercession of all the Arch Angels, especially Metatron, for a safe path out and away from any negative Karma, imagined and real, in all dimensions, past, present, and future, and for the realignment of safe guards for BOTH of us. I see 111 or 1111 a lot, but l also see 1234, even more often. What can this mean? I keep seeing 911 when I look up.Especially the time.Are they telling me something? My sister passed away on 1-11-11. She was an angel. I keep dreaming with the number 925 is that an Angel number? Have seen the numbers 444 several times. Can you please give me the meaning please. evengthough all areas were clear. Most everyday I see 555, could you tell me what that means? hi can you please tell me what 666 means. with love and light. My soulmate was killed on November 1, 2011. I have wondered about that choice of date ever since. Was it significant? It threw me into a depression that lasted some time (and was triggered by that event, but caused by several things at the time). It’s only now, 3 years later, that I can begin to investigate the meaning of that choice of date. Can you help? I woke up at 2.22 and my battery showed 22% charge. What could that mean? You don’t show that sequence in your articles? I’ve always wondered for years now I see 7:11 on the clock so so many times and it can only happen twice a day. My mother passed on 7-11-96, and I’m wondering if it’s her letting me know she’s around, or my angels, as I’ve never seen 7:11 addressed before in a post. Lately I been seeing 222. Several times I have awakened to see that time on the digital clock. I saw the 111 or 1111 in my dream last week can you tell me what it’s meaning is to me….I’ve had a lot of deaths happen lately around me……this is true at this moment I’m writing to you I get a call from my cousin that my Aunt who has been on a life support is sitting up and alert after they had told my uncle his would have the machines turned off….this is a Miracle of mine to come true…cause yesterday was very bad knowing there was going to be another death in the family I would be facing! Hello. Whenever I see 111 and 1111, I immediately receive a sign concerning my ex. What does this mean? Thank you add it was quite on the mark and I have been asking for Angelic help lately and knew someone was worth me. Blessed Be. This was an awesome post. 111 has been a reoccurring number for me as long as I can remember. I always, always see the number 23. What is the meaning of these numbers.